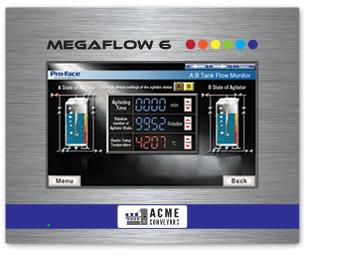 Pro-face America has a Product Modification Department that is unequalled in the industry. We can tailor our products to meet the individual needs of your organization. Benefits of Product Modification include part number protection, price stability, and unique industry offerings! Review our Product eCatalog or the Product section of our web site to select the HMI or IPC you want to customize. Contact Pro-face to request your modification. If your product modification involves a custom overaly on an HMI, please visit hmioverlays.com to upload your artwork and we will contact you for the details. Pro-face can combine any Hardware / Software configuration under a single part number to make ordering easier than ever! The bundling option also provides a single price for a complete solution! Reduce engineering set-up time and costs! Let us work WITH your company to create an image the way YOU want it. Your custom image will be shipped on every new product you purchase and stored here at the factory for your piece of mind. Do you need a higher capacity drive than we offer? Do you need more memory? Do you need a third party device and drivers installed BEFORE we ship the product to you? Our Technical Engineering staff will configure your hardware to meet the specifications YOU require. Find your local distributor now to see what we can do for you!